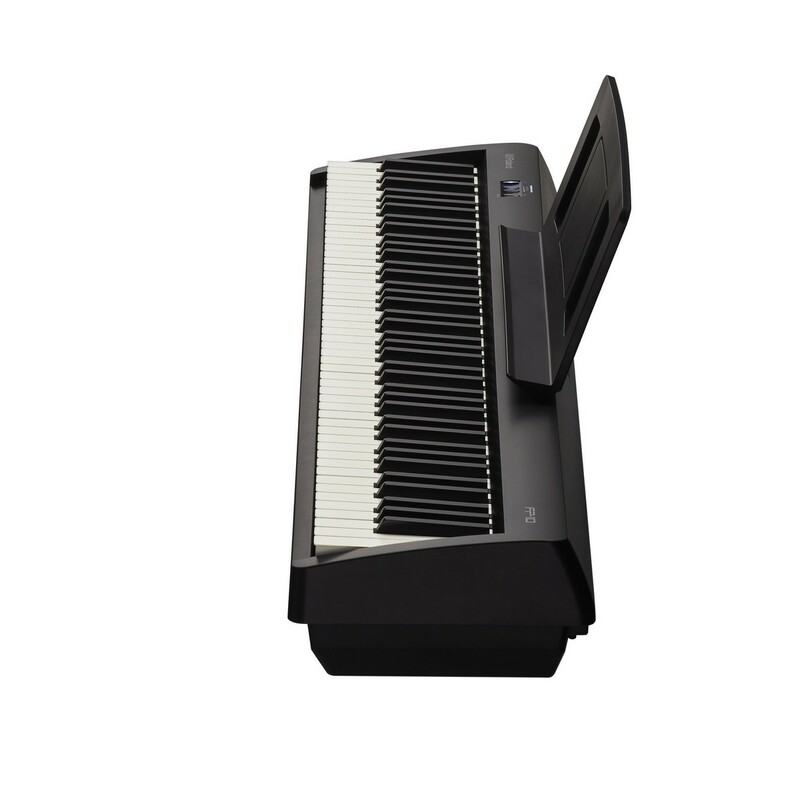 Take the stage with the Roland FP-10 Digital Piano. Featuring industry-leading sound and touch quality, fused with all new innovative technology. Enjoy the best of the traditional and digital world with the FP-10. Meticulously designed to project sound with incredible power. Roland's SuperNATURAL Piano sound engine, supported by the integrated amplifier system, has been carefully tuned to faithfully reproduce the tonal character every nuance. In a quest to recreate the natural touch of the ivory keys, Roland boasts of its success. Producing a high-quality instrument, with an incredibly authentic ivory feel. So you dont have to settle for less than a superior touch, with exceptional tone. With Bluetooth MIDI connectivity you can quickly and easily connect your piano to the DAW of your choice, or a world of music apps including Rolands Piano Partner 2 App. 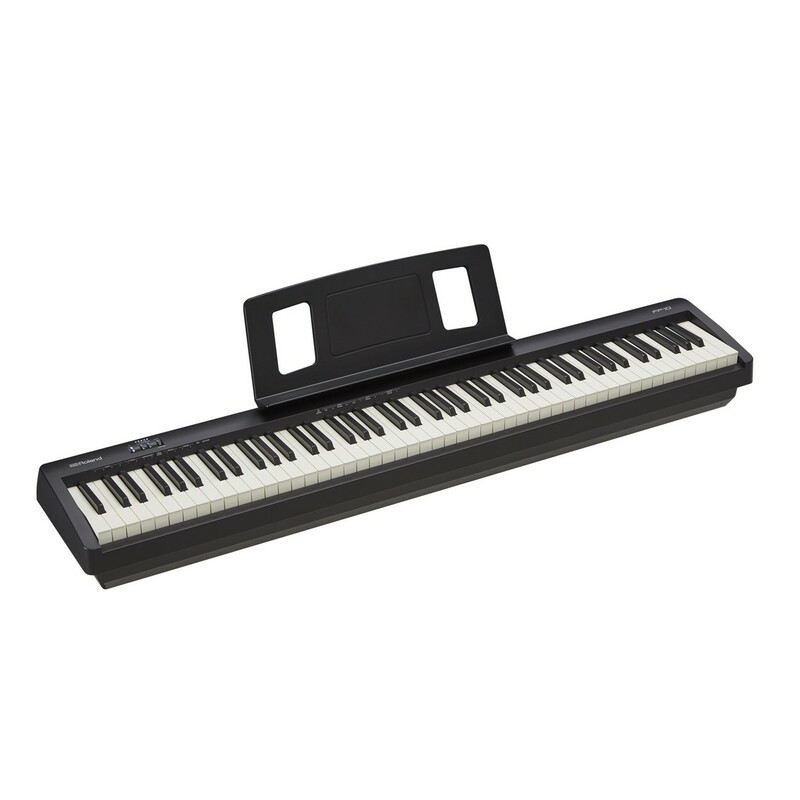 Communicate your truest emotions with the Roland FP-10, meticulously designed with Roland’s PHA-4 keyboard. The FP-10 offers a dynamic playing experience, accompanied by the sound of a fine acoustic piano. With a dynamic responsive touch mechanism, the PHA-4 keyboard is sure to express even the slightest nuances. Using high-resolution sensors and Roland’s advanced escapement mechanism, the PHA-4 keyboard reliably translates the slightest differences in tone and character as you play. Whether you play hard or soft. Your sound is faithfully captured by Roland’s touch-detection technology. And if you pay close attention. You will notice a heavier hammer-weight in the low registers and a lighter register in the highs. Serving you a playing experience just like the touch and feel of the acoustic grand piano. 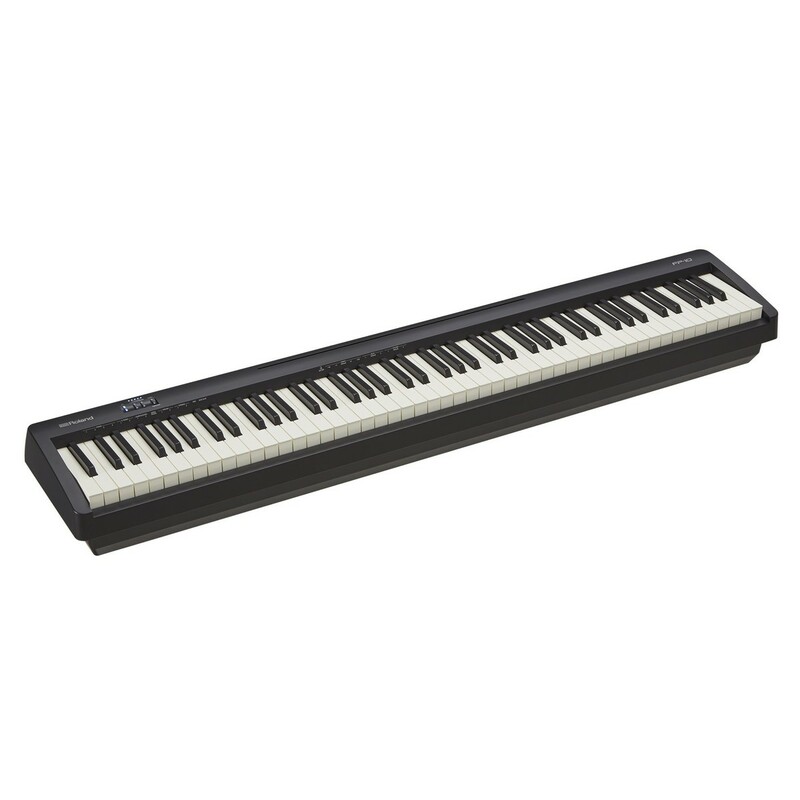 Touch the white keys and you’ll be convinced by a revolutionary moisture-absorbing material that recreates the natural texture and feel of real ivory. The absorbent key surface is carefully designed to give you total performance control. Working against perspiration, the ivory like keys help you maintain a firm grip on the keys for the duration of your performance.